I'll have more to report on BibleTech08, but I want to share the material I presented on "Digital Resources for Biblical Mapping." HERE is the link to follow. I have provided a PDF handout of the presentation and a quick summary outline of it. There is also a link to a spreadsheet comparing features of the biblical mapping programs. Most importantly, I have collected all the links to mapping resources and provided some comments on many of them. My conclusions after my survey of all the biblical mapping resources? There is not yet any biblical mapping resource that does it all. Ideally, I think what we want is a resource that has these elements. It is adaptable to various kinds of presentation: projection, web, handout. This requires a variety of base terrains, colors, etc. In many ways, it is helpful to think of the old overhead model; i.e., a base layer where it is possible to add overlying images/filters. It has bi-directional links between the Bible text, map locations, reliable reference works, multimedia resources, and online links. It is desirable to have at least some kinds of interactivity: turning and tilting, 3D, flyover, animations demonstrating sequence of events, etc. For Mac users, Accordance Bible Atlas is an easy choice. It doesn't do everything on my list, but it nicely implements many of the features I describe. For Windows users, BibleMapper is a good choice for map editing and creation, but the status of this program is currently in transition. If you just want a static map, you can probably find one online. I think the future lies with something similar to GoogleEarth. The capability to add overlays, edit sites, and link to all sorts of data (e.g., even now there are links to one's own images in Picasa that are geotagged, Panoramio images, YouTube videos, Wikipedia articles, etc.) really makes this a rich environment for development. What is needed is a reliable package of overlays with links back to Bible software resources. 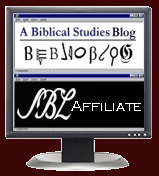 Take a look at what Sean Boisen (Logos) is doing with Bible places and names at his SemanticBible site. What are some possibilities of linking sites with the people connected with that location? I've also been encouraged to check out a couple other resources. I was aware of and had linked to iLumina, but I had not experienced it first hand. PreservingBibleTimes is not exactly a mapping resource, but it provides some of the geographical overview. Enough for now, but again, HERE is the link to follow for my stuff. You state that the Accordance Bible Atlas doesn't do everything on your list, but I can't think of one of the items you listed which it doesn't do. Could you elaborate? Third, there are some ways I think the program could be improved. (A) The satellite imagery could use higher resolution. (B) The Dictionary of Bible Places is useful but pretty basic and limited. Perhaps if I had other modules, it would easily link to more complete entries. (C) Given the importance of Jerusalem, it would be nice to have a good map of that city. There are a number of other city maps that would be desirable as well. (D) It's great that the Atlas, unlike so many other programs, has the nice overlays for routes and highways. I would like to see them more accurately drawn, however. E.g., the pass from the south leading to Megiddo is quite clear on the map, but the ancient highway map misses it. (E) It would be really nice to have hyperlinks out to web resources or to Google Earth. This would allow hooks in to pictures (though I know one can also buy the Bible photos module). Again, it would probably help if I were using this on a Mac rather than on Windows, but even so, it is still an excellent resource. I recommend it (even to Windows users(, and I will continue to use it.